Contact us today and get started on a custom case solution for your company. We want to show you who we’ve worked with and what ideas we’ve brought to life. With 100% custom products, we have to be precise with our development process. Check out how we turn ideas into reality. 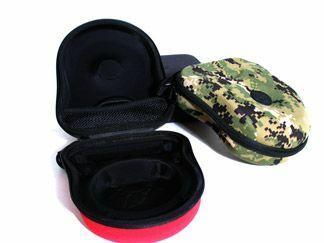 We design, manufacture, and deliver fully custom soft-sewn and EVA hard shell cases. But that’s only half of what we offer our clients at Tetrafab. We have a domestic customer service and management team that will stand by you and our products long after your first order has been placed. Our case designs and manufacturing techniques will ensure that your cases stand up to the rigorous demands of the end user, and our client service team will ensure that you recieve your shipments on time and without defects. For over 30 years Tetrafab has been creating custom bags and soft goods for market leaders in a variety of different industries including medical, food service and catering, electronics, OEMs, and everything in between. Our designs are built to last and create real value for your end users, whether you need a case to protect and transport a unique product or a soft bag meant to be sold directly to consumers, you can count on Tetrafab to exceed expectations. We also specialize in EVA hard shell cases, which are a perfect solution for transportation and storage of electronics and other sensitive equipment that needs the added protection of EVA foam. Our custom EVA cases are the best of both worlds: Soft to the touch but rigid enough to absorb serious impacts without cracking like plastic, and without the excess weight of aluminum or other ATA style cases. The client had a very unique challenge for us: create a highly stylized case that would be able to protect their state-of-the-art drone. Our design team hit a home run. Thermal formed foam EVA case with branded zipper pull, velcro hand strap. We built our company on a deep commitment to customer service. If you email or call us, you are guaranteed to get a response within 1-2 business days. Contact us today and get your project moving.